It’s true. I bailed on kindergarten. And I don’t have an ounce of shame about it. After all, I gave it my best shot. The first day of school, I insisted that my mom take me exceedingly early so I could be first in line. Expectantly and excitedly, I waited by my classroom door at A.E. Arnold Elementary in Cypress, Ca. That name has been an ongoing source of confusion for me. Who exactly was A.E. Arnold? What’s the deal with the initials? I thought other kids went to normal-sounding schools like George Washington grade school. Oh, well, at least it wasn’t Benedict Arnold Elementary. I can just hear some young urchin ask, “So why didn’t you google search it?” My dear, forty years ago we obtained our information the old-fashioned way. We earned it. 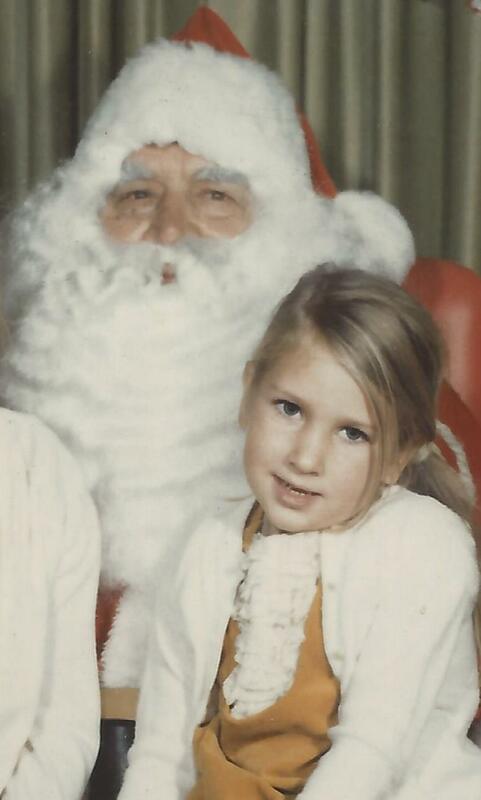 This quiet, shy little girl would’ve had to inch her hand up and ask in front of twenty pairs of eyes, “Uh, who is A.E. ?” You wonder what’s so risky about that. Well, we five year olds may not know much, but we’re not stupid. Gosh, maybe Arnold was the last governor of California! Maybe he was even president. You don’t have to know all the presidents by kindergarten, do you? My teacher also was not the kind of person that endeared questions. Her large girth alone intimidated. One time, we were sitting around her in a semi-circle on the floor for instruction. An annoying boy persisted on blowing in my face. Finally, I turned in exasperation and gave a quick blow to his face. That teacher swooped down on me like a predatory hawk, obviously delighted for a chance to punish this petite goody, goody girl in pig tails. No, mine was not the peaches and cream image of a kindergarten teacher we might carry. During recess once, I was sad about something, quietly crying on a bench. A precious little girl had her arm around me, tenderly comforting me. Ms. Grumps came by and chastised her efforts, “Leave her alone. She doesn’t deserve it.” What was that about? The shocking surprise is that my mother didn’t even attempt to change my decision. No pleading, no cajoling, no ultimatums. She simply trusted me. I have to say I admire her response. In her position, I might be tempted to have the cultural “what if” fear response: If she quits kindergarten, will she quit everything? Will she never graduate from high school? Never go to college? Will she be destitute and homeless? Good Lord, get her to the principal’s office fast! So what did happen to little Carmen? Initially, not much of what would be termed “school,” and it suited her superbly. There was a brief attempt at first grade in parochial school—it failed. Those, of course, were the days before legalized homeschooling. Thus, the state required my mother to hire a credentialed tutor to teach me once a week. It probably was just an hour session. At the end of that one hour per week first grade, I was far beyond my peers in reading and math. I passionately devoured complex multiplication problems. I mastered simple division and can picture my tutor attempting to teach me long division on my little chalk board. None of the “what if’s” occurred. Second grade found me back in a school setting. Eventually, I graduated from high school when I was fifteen. Four years later, I completed a B.S. in Chemistry. Not long after that, I finished graduate studies in physical chemistry. For fun, I have enrolled in graduate courses in Bible, theology, and counseling, as well as marriage and family therapy. Crazy. I’ll confess: I don’t have the faith of my mother. As a homeschooling mom, I do require more than an hour’s labor from my pupils. My kids can testify that I’m resolutely committed to a regular routine of learning and service. What they might not realize is that I consider their free time just as valuable or more. Although effortlessly achieved, their copious, non-regimented time is the crowning glory of our schedule. In this day and age, I must clarify that their unstructured time is not an electronic festival. With joy, I’ve watched these kids read, play, imagine, draw, paint, write poetry and prose, build with legos and blocks, cook and bake, create story lines and dress up, dance, perform their own plays, throw rocks in ponds, run and jump in our yard, plan bake sales, sew, knit, and fashion design. Almost a week doesn’t pass that I don’t hear the complaint, “I’m bored.” That, too, is a luxury, the privilege of those with means. By that, I don’t mean Bill Gates, but ordinary people like you and me, sitting before a computer screen. About 2.5 billion live on less than $2 per day. Yes, we are wealthy! One of the beauties of taking my kids overseas is that they can see how other children live. They’ve interacted with kids who are forced to beg for money on a street corner or in a busy parking lot. We’ve engaged with a homeless orphan, selling anything he could to survive. Is that unique? No. These statistics are horrifying, if we can sit and take them in. Perhaps that contributes to why I’m passionate to promote Compassion International. At the Compassion projects, children are allowed the luxury to be kids like ours, to exit the oppression of child labor. Besides being educated, they reclaim the chance to play. They can thrive, not simply survive. Final confession: My kindergarten teacher provided me one priceless lesson. This is no joke. I vividly remember her pointing out the brightly lit letters above the back door. Eagerly, I learned E-X-I-T.